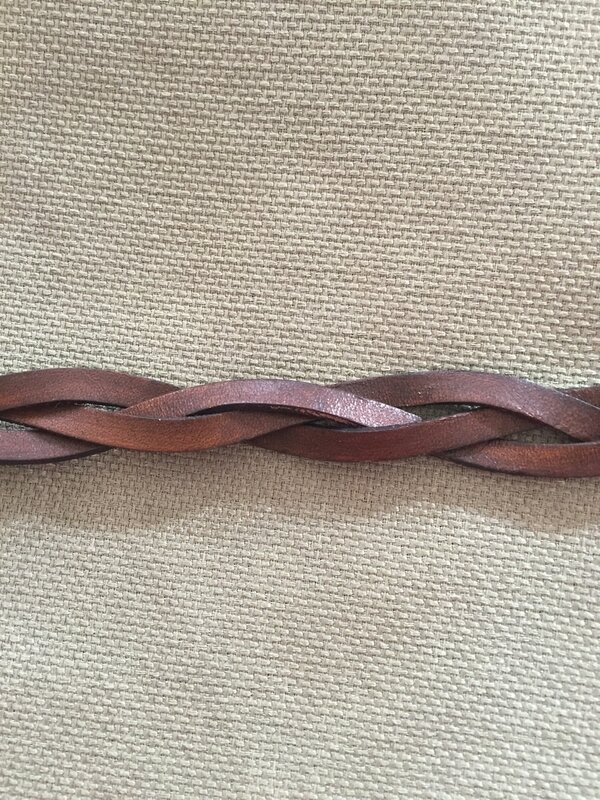 If you like one of these, simply reference the product code displayed when hovering over the image and put it on the Contact Us form. 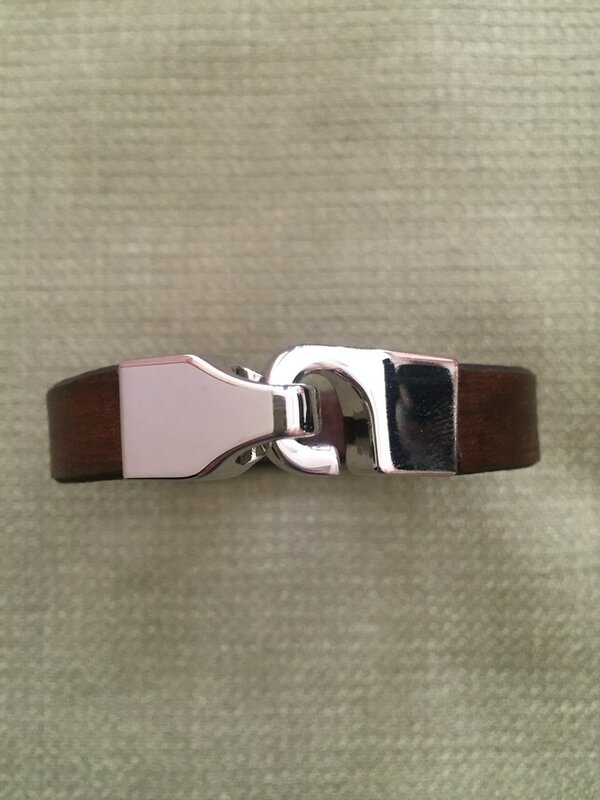 Also, please let us know your wrist size (see sizing chart located in top navigation menu). We will add a little extra room for a comfortable fit. 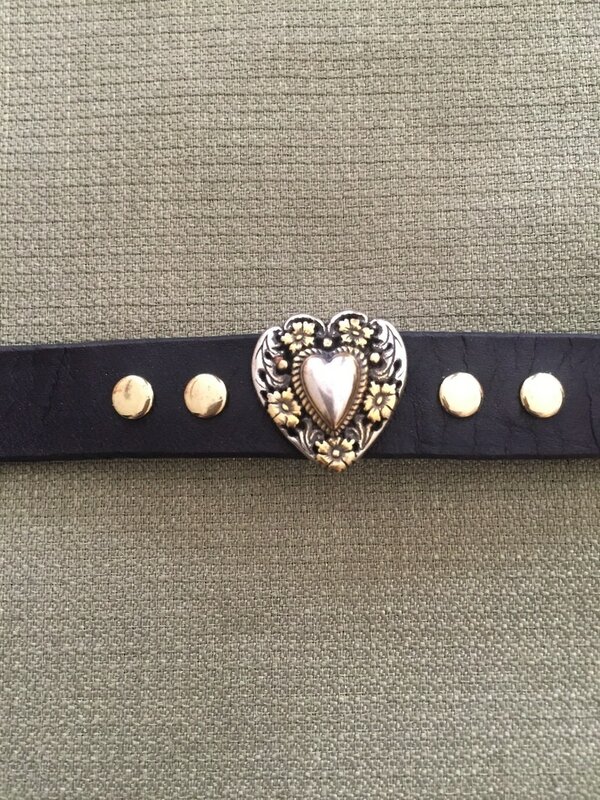 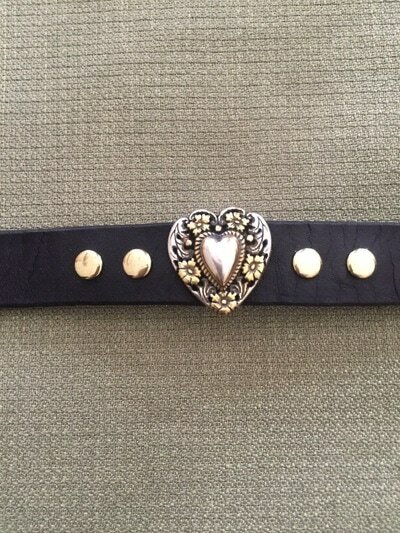 BR1- Black band w/ gold rivets & silver and gold heart. BR2- Hook clap w/ solid brown band. 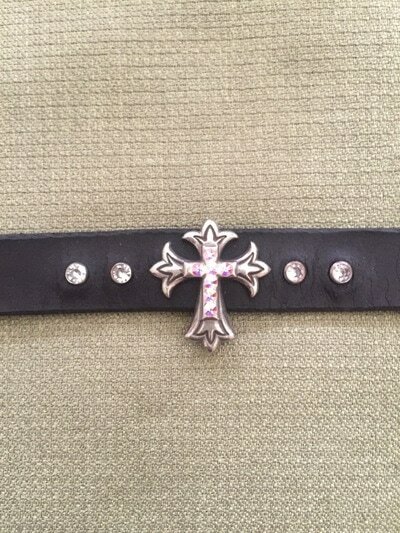 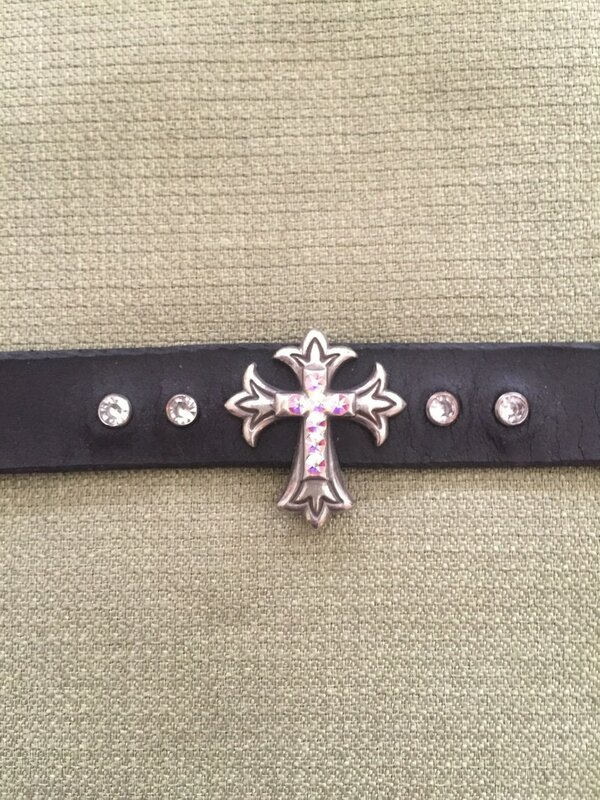 BR3- Black band w/ crystal rivets & endearing crystal cross. 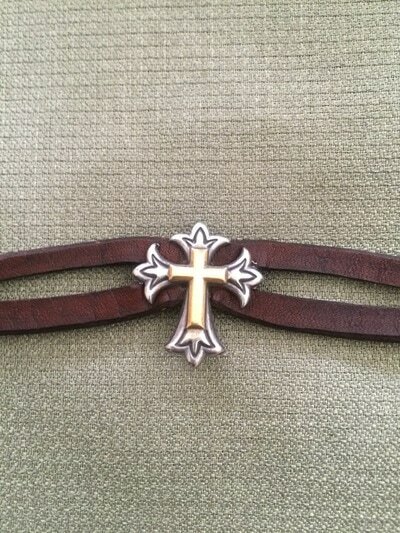 BR4- Brown band w/ silver rivets & epoxy cross. 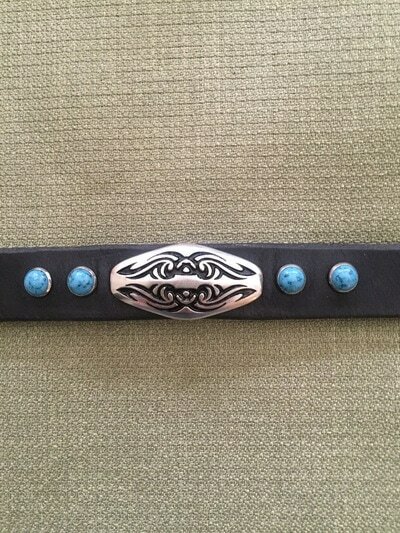 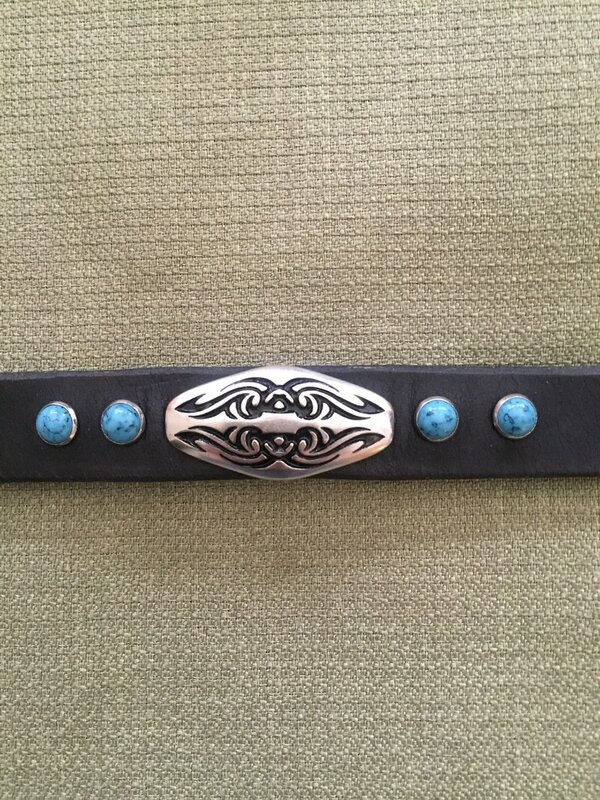 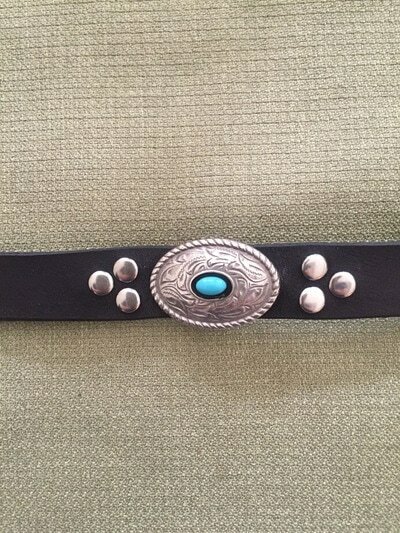 BR5- Black band w/ oval tribal concho & turquoise rivets. 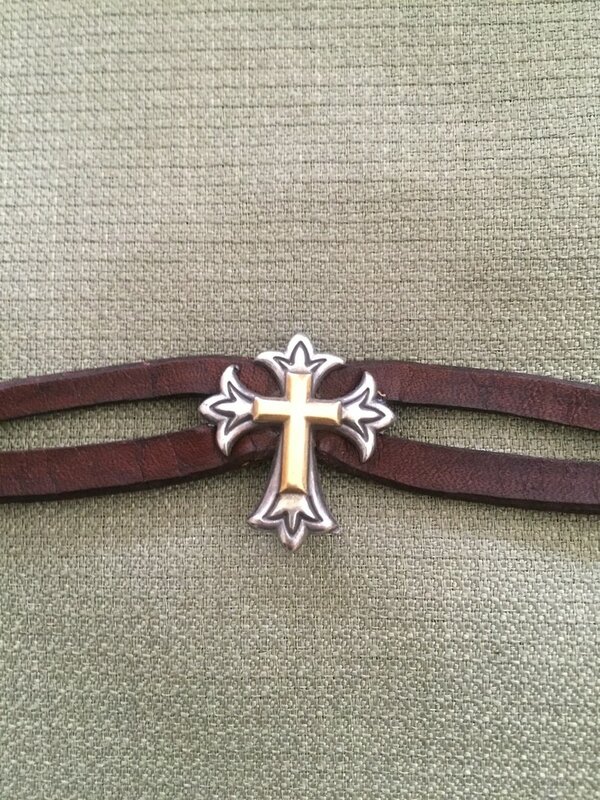 BR6- Split cut brown band w/ endearing silver & gold cross. 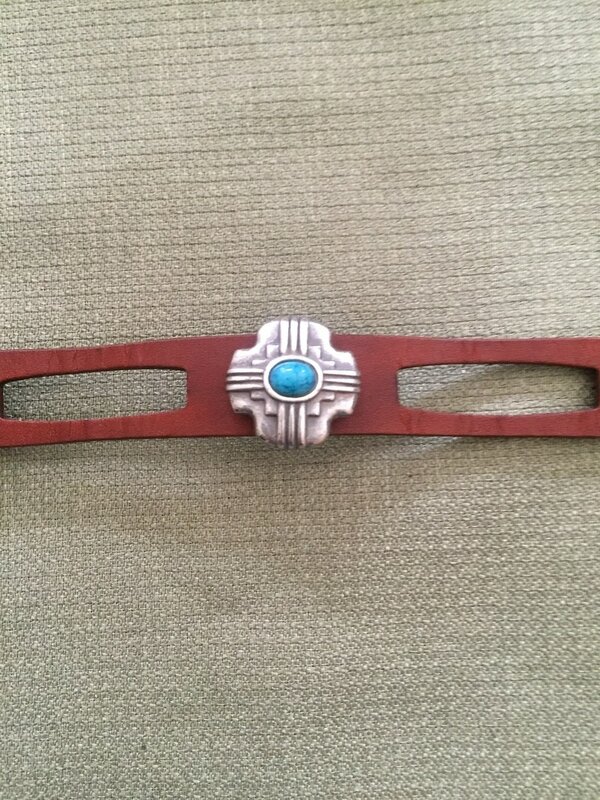 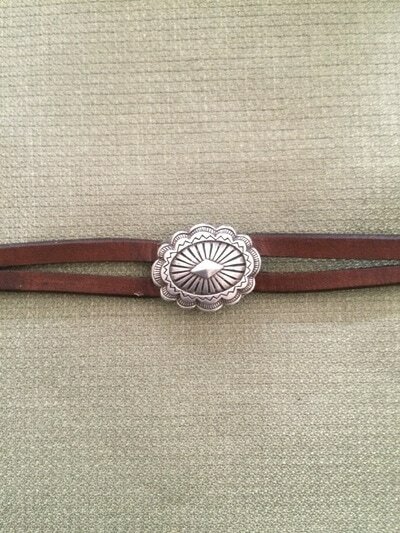 BR7- Split-cut brown band w/ zuni concho. 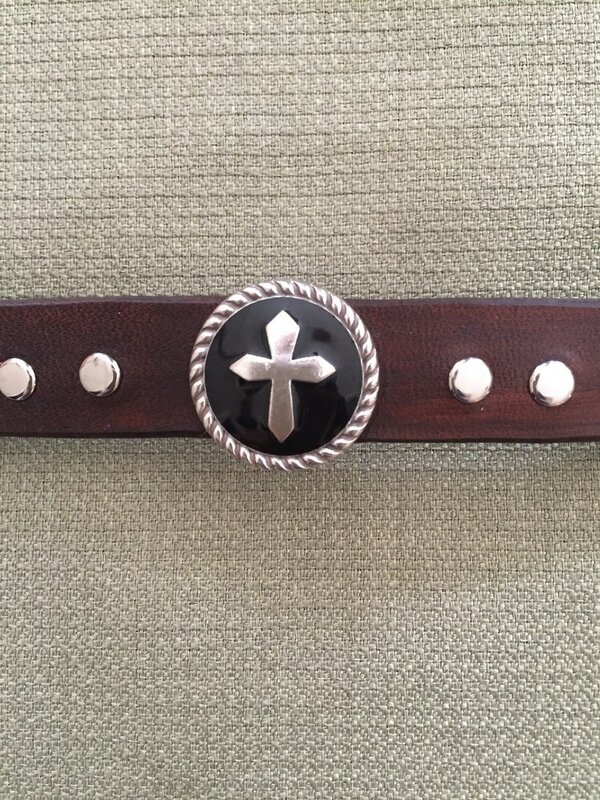 BR7- Black band w/ silver rivets & prairie dust concho. BR9- Hand punched, brown band w/ vista turquiose concho. BR11- Split cut, brown band w/silver & gold Texas star. 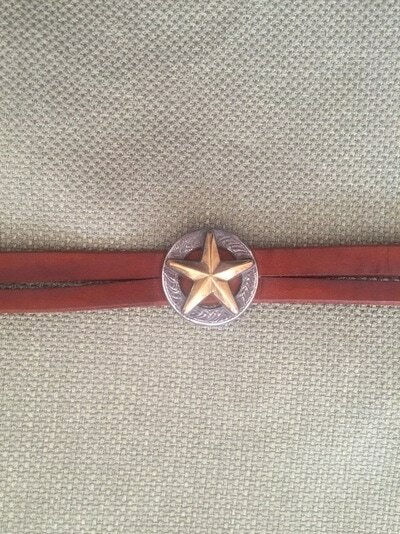 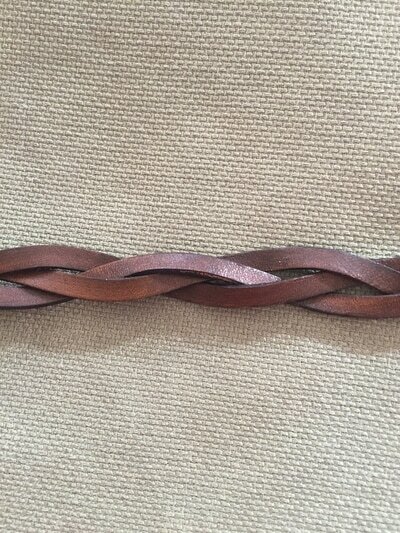 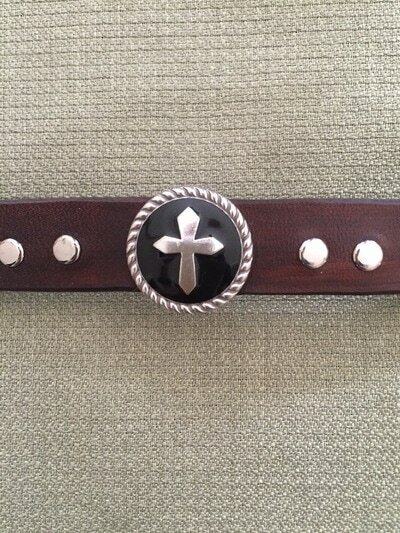 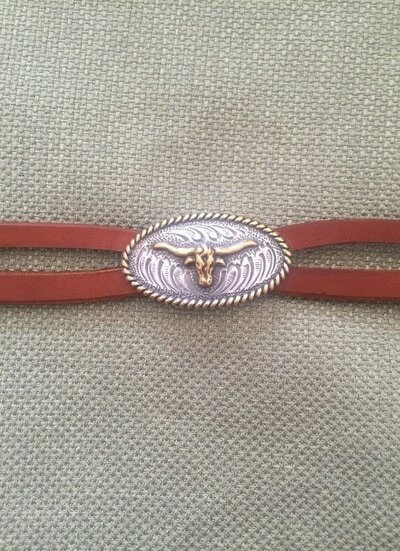 BR12- Split cut, brown band w/ longhorn concho.